Seriously. You are. Your brain is roughly 60% fat and is by far our fattest organ. The ketogenic diet has been in clinical use for over 80 years, mostly for epilepsy. Now researchers are discovering that, not only is it good to treat symptoms of epilepsy, but may help with other neurodegenerative disorders including Alzheimer’s disease, Parkinson’s disease, multiple sclerosis, and may also be protective in traumatic brain injury and stroke. As a great chemist once said, it's not about "you are what you eat," it's about eating what you are. We're fat, protein, and water. It only makes sense that fat helps the brain which is made mostly of fat tissue. People are now finding that fat isn't just good for clinical treatment, but to possibly improve our own cognitive and brain function. To "level up" our brain. It's a high-fat, moderate protein, low-carbohydrate diet. It basically forces our body to use fat instead of carbohydrates as fuel, which is part of the reason why it's become so popular among people looking to lose weight. What normally happens is, carbohydrates get turned into glucose, which is then used by the body, particularly in fueling brain function. When there isn't enough carbohydrates, the liver converts fat into fatty acids and ketone bodies. 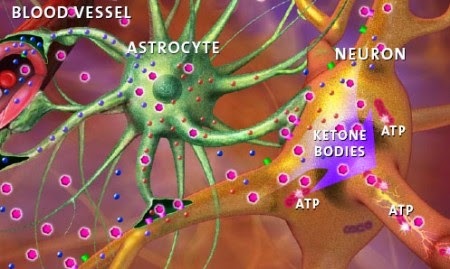 The ketone bodies then replace glucose as an energy source for the brain. Ketones being a longer lasting and brain friendly form of energy. The brain especially loves ketones made from omega-3 fatty acids from fish oils. Which is why so many Americans take fish oil supplements and munch on almonds. If you've ever consumed a lot of sugar, it fuels the brain but eventually your brain crashes. Our brain needs some glucose, it also needs fat. It needs diverse fuel options. And during the low-fat craze of the 80s and 90s, not only our waistline, but our brains also suffered. There was also an increase in metabolic and auto-immune diseases which are diseases of inflammation. The leading culprit of inflammation in our diet is sugar. To add more healthy fat, it's now common place for engineers and computer programmers to add butter and MCT oil to their coffee. And it has spread from Silicon Valley to other people who require a lot of brain output for work; from business elites to creatives and artists. If you haven't added MCT oil into your diet, do so. I recommend NOW brands. Research is showing the ketogenic diet could have beneficial effects in a broad range of brain disorders characterized by the death of neurons. 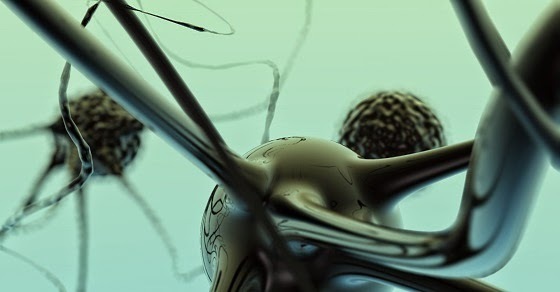 What scientists believe is that the neuroprotection results from enhanced neuronal energy reserves, which improve the ability of neurons to resist metabolic challenges, and possibly through other actions including antioxidant and anti-inflammatory effects. Right now the ketogenic diet is also being researched for the treatment of cancer. Cancer cells thrive on glucose and cannot survive on ketones. By limiting glucose, the idea is to starve the cancer cells. This is not a cure by any means as your body can turn nearly anything into glucose if it really wanted to. But what it has done is prolong the lives of animals with advanced stages of cancer and may be an alternative to chemotherapy in the future (which also attempts to kill cancer cells). Sugar and inflammation has long been linked with cancer, and is one of the biggest reasons people began to take another look at the low-fat high sugar diet that's been popularized in the last few decades. In the case of people recovering from brain cancer, things look even more promising. Don't fear fat...maybe just fear man made fats (and man made foods for that matter). It may prove to not only be beneficial in the treatment of illness, reversing obesity, but also be beneficial for our brains.